EDITOR'S NOTE: Fairfield, established in 1639, is one of Connecticut's oldest communities. From its settlement 375 years ago by English colonists on "four squares" of land that Native Americans called Uncoway to the vibrant town of 60,000 residents that it is today, Fairfield's history is a chronicle of compelling events and colorful characters. The Fairfield Citizen will highlight vignettes from that rich history throughout this 375th anniversary year on a regular basis. Fairfield, now the home of two universities, first became a college town in 1942, when Fairfield University opened its doors. The university was founded on property originally occupied by the vast estate of Standard Oil magnate Oliver Jennings. His heirs sold the mansion, called Mailands, and nearby property to the New England Province of the Society of Jesus for $43,879. Sacred Heart University, also a Catholic institution, was founded 20 years later in 1963 by the bishop of the Roman Catholic Diocese of Bridgeport, the Rev. Walter W. Curtis. To the surprise of some Fairfield and Bridgeport residents, he chose Fairfield as the home of the new institution of higher education, rather than Bridgeport, the home city of the diocese. The groups founding both universities also opened high schools in town. The Jesuits established Fairfield College Preparatory School for boys in 1942, predating the formal opening of the university on a shared campus. A co-educational Catholic high school, Notre Dame, was opened on upper Park Avenue by the Diocese of Bridgeport in 1955. Less than 10 years later, Sacred Heart University took over the Notre Dame property and two new parochial high schools were built by the diocese elsewhere, one in Fairfield for boys and one in Bridgeport for girls, merging in 1973 on the high school's current Jefferson Street property, not far from the main SHU campus. Over the years, both universities have grown. Fairfield University started as an all-male college with about 300 students and is now a co-educational university with a student population of about 5,000, including undergraduate and graduate students. Sacred Heart's student population was somewhat smaller when it opened -- 200 students -- which has swelled to 7,000 full-time and part-time undergraduate and graduate students today. In addition to its main Fairfield campus, the school now has facilities across Park Avenue in Bridgeport. It wasn't until 1970 that Fairfield University first admitted women. Also added to the university over the years were many undergraduate and graduate programs in addition to the original College of Arts and Sciences. 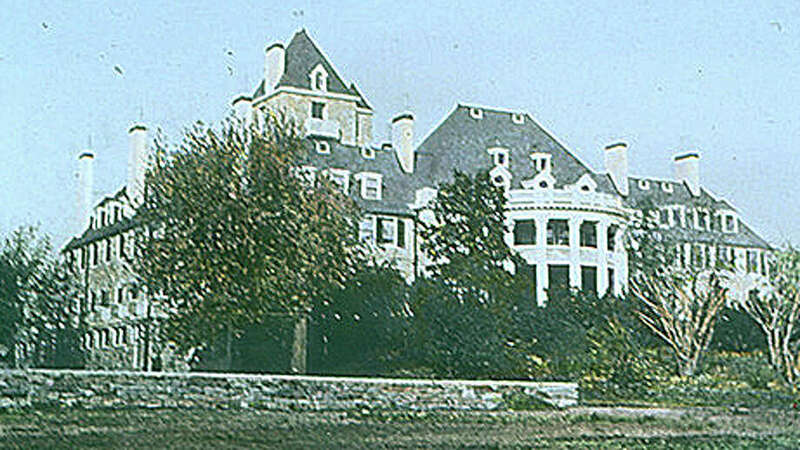 The university expanded its property holdings in 1989, when it acquired the Sisters of Notre Dame de Namur property off North Benson Road. The nuns, from a teaching order that originated in Belgium, ran a convent for about 30 years in three buildings now part of the Fairfield University campus. Sacred Heart was a commuter school for many years, opening its first of 10 dormitories in 1990. The university now offers undergraduate, master's and doctoral degree programs in five different academic colleges. The school claims to be the first Catholic university in America to be led and staffed by laypeople. Besides the development of significant on-campus facilities, such as classroom buildings, dormitories, athletic centers, libraries and arts centers, both universities' growth over the last several decades has led to enclaves of students living off-campus in local neighborhoods. That, in turn, has triggered occasional friction with permanent residents of those neighborhoods, particularly the beach area.